The Granix in its packaging. Holy stone collectibles, Batman! 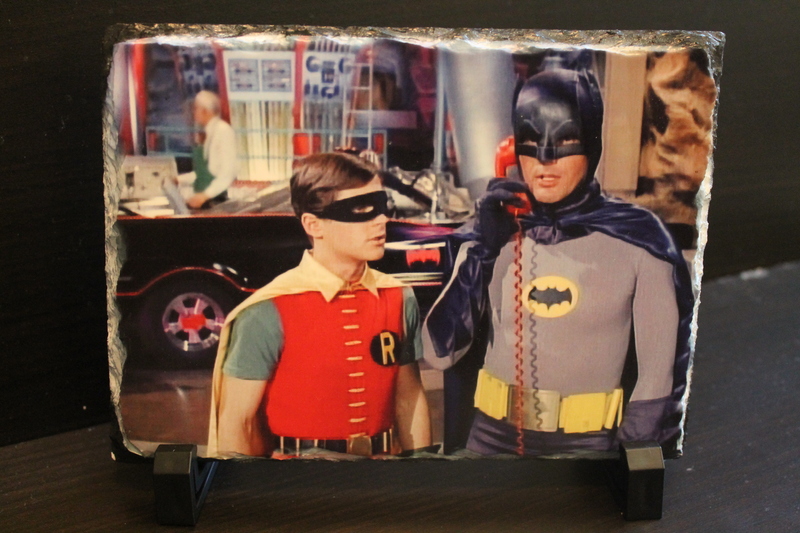 The Classic Batman TV Series featuring Adam West and Burt Ward has now been immortalized by Granix, a line of collectible rock plaques that feature pop culture images. 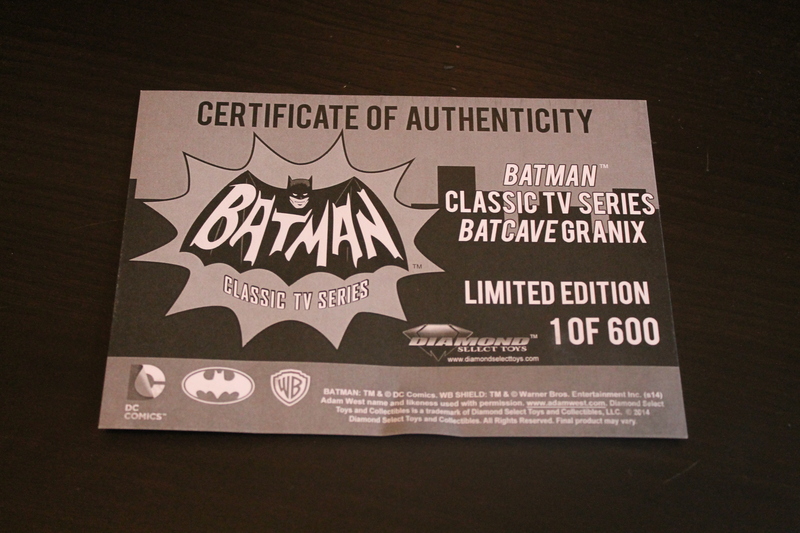 The plaques, made by collectibles company Diamond Select Toys, are produced in limited edition sets (the Batman Granix is one of 600) and each plaque comes with a certificate of authenticity. The Granix plaques also include mountings for desk and wall display, so that you can show your love of the Caped Crusader by displaying your art in whichever way you choose! And with a convenient size of 7.5″ by 5.5″, there’s certainly a place on the desk or wall of any Bat-fan for this great homage to the fun Batman of the 60s. 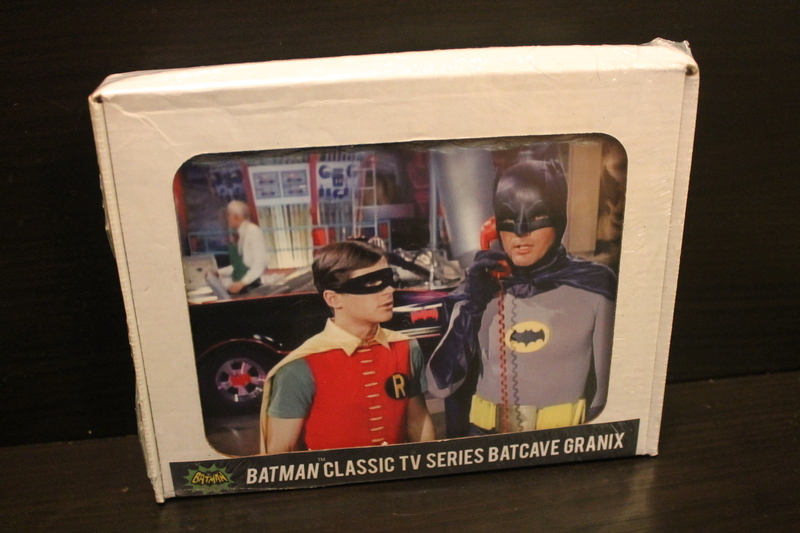 The Batman Classic TV Series Granix is incredibly sturdy and durable, and its beveled rock edge fits perfectly with the Batcave atmosphere that the image conveys. It’s a collector’s item that definitely deserves a place among any Bat-fan’s treasures– I know it’ll fit well with mine! ← CONTEST: Win a Copy of Batman #13 Signed By Scott Snyder at New York Comic Fest!